Google is clearly trying hard to portray a new German law involving the republishing of news as a victory, and some observers seem to agree, saying the company “defeated” publishers who wanted it to pay for the right to publish excerpts. But if you look more closely, this is not an obvious win for the search giant — just as recent deals with French publishers and Belgian publishers were a lot closer to being a saw-off for both sides than an outright win. And with every deal it strikes, Google makes it harder to argue that paying publishers for excerpts is unnecessary and even counter-productive — or that there is something to be gained by allowing even large companies to engage in the “fair use” of content for the larger good. As my colleague David Meyer has reported, Germany’s lower level of government, the Bundestag, passed a bill on Friday known colloquially as the “Google Law.” It doesn’t officially become legislation until it is approved by the second chamber, the Bundesrat, but it has already caused a firestorm of criticism — much of that stoked by Google and its “Defend Your Internet” campaign. The law was promoted by most of Germany’s major media companies, who believe Google News is stealing their content by including excerpts of news stories. In its original form, the bill would have required Google and others who use even a single word of a publisher’s copyrighted content to pay for the privilege. After what appears to have much lobbying and late-night pressure from the search company, the German legislature tweaked the bill so that the use of a single word or a “small snippet” by services such as Google News would not require licensing or payment — which Google says is a victory. As David notes, however, on closer inspection this doesn’t really look like much of a victory at all: it’s not clear that Google News has been absolved of anything, in fact, since the wording of the bill doesn’t specify what a “small snippet” consists of. The legislation also clearly gives publishers the right to control what a third-party site or service does with their content, and in effect it leaves it up to them to determine what constitutes unfair use. In a similar way, Google tried to argue that its deal with French publishers — which involved the payment of $82 million to set up a “digital innovation fund,” as well as a commitment by Google to help publishers with their digital advertising — was a victory, when what it really looks like is hush money or an extortion payment. As in Germany, the search giant might protest that it could have been much worse, but to other publishers and media players in Europe it looks a lot like Google is willing to cave in on its core beliefs if you push hard enough. Has Google lost the will to fight? Some publishers — even those in the United States — would probably argue that this is a good trend rather than a bad one, and that Google should be paying publishers for their content, even short excerpts (I happen to believe that they are wrong). And Google has obvious corporate reasons for being expedient and cutting deals, even if that involves backing down on its principles, because it needs to do business in these countries. Despite all that, however, it still feels as though something has been lost, or is in the process of being lost. In the past, Google’s argument in cases like these — or other cases on similar issues, such as the Google Books lawsuits launched by publishers and authors — has always been that a) the principle of “fair use” should allow it to use short excerpts of both books and news articles, and b) that there is an exchange of value involving the users that Google News drives to a publisher’s content that many media companies fail to appreciate. Of course, the U.S. principle of “fair use” doesn’t exist in the same way in most European countries. And perhaps it’s unfair to expect Google to try and somehow force other jurisdictions to see the value of such a principle. But if Google doesn’t do it, then who will? So much of its success has been based on it that it seems a little churlish to just cut a deal with whoever comes along, regardless of the long-term effects that might have on the open web. Haven’t looked into it yet but that $82 million digital “innovation” fund has the smell of “exploding truck discount coupons” to me – to wit, is the $82 mil in real, freely spendable currency or simply “credits” for Google advertising (whose incremental cost to Google is closer to $82 than $82 million). I think Google may have snookered the frogs – who may have been over-eager for a purely symbolic/shambolic victory. The Bundestag serves as the lower house in Germany’s legislature and is not the “lower level of government” as you have defined it. Despite its name, the lower house wields more power than the upper house, the Bundesrat. well, this is true that Google is giving a hard time to publisher and they are good with advertiser. They are giving nothing to publishers ! I just wanted make a quick correction on that note: The law has NOT to be approved of the Bundesrat in order to become official â€“ due to the quite complicated federal structures in Germany. It may, however, still be able to stop the law â€“ but only when reaching an absolute majority in its vote against the law. In any case, the law only becomes official when having been signed by the President. What are you morons bellyaching about? These newspapers would already be dead if not for Google. Google news drives billions of viewers to these news sites. Since you all seem to be blind to the elephant in the room, let me point it out for you. If these newspaper sites didn’t want Google to list them, they can easily opt out by including the appropriate tag in their sites. They don’t even have to contact Google directly for this, it’s automatic. So, why don’t they do this? Let me ask you that again. Why don’t they do this? Think really hard now. It’s because GOOGLE MAKES THEM MONEY BY LISTING THE SNIPPETS. Google provides to these papers, free of charge, a money making traffic stream, and these papers are crying because they want Google to pay them for that privilege. It’s ridiculous. If anything, they should be paying Google. Think about it. If you have a product to sell and you want to use Google to advertise it, you will pay Google for its ad-words service to list your advertisements within its network. To get this advertising, you have to pay. These newspapers are essentially getting an entire branch of the Google empire (Google News) all to themselves for free. No advertising expenses AT ALL. And now they want Google to PAY THEM in order to do this. If you can’t see how backwards this whole issue is, you seriously need to learn how to think for yourself instead of letting your media “educate” you. There is a vast difference from bring listed in search engines to being quoted in a bogus thing called Google News – Google doesn’t write a single news story. It’s simply URL scraping to make Google a better stop on the internet. Apple at least has tried to let content makers monazite their content thru a revenue sharing plan, and a sales plan. Google does none of this. It’s theft of product, plain and simple. Google aggregates, that is their business model. Most of their flagship products are those aggregated for free: +You, Images, YouTube, and News. They seem to be willing to have pay models for Play (Music+Apps+Movies). Matt, tell us why neither Google or anyone else seem to be claiming fair use of music, apps, and movies? Why do they copy Apple and pay for these items? But, why do they not aggregate news is a store and sell news subscriptions? Apple has tried to assist in this effort with NewsStand in iOS. Others see the value in sharing the bounty… but Google hardly has it in their DNA. 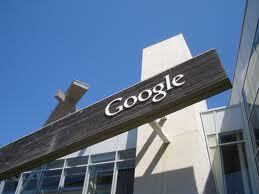 What is it about Google DNA that they should deem what is free and what is not? They are no longer an innocent little search engine. Google DIDN’T cut a deal in Germany. And I received an Email from Google (via their campaign) that clearly states that, although this law is not as bad as it could have been, it is still a desaster. You mix things that clearly have nothing to do with each other. Google did strike a deal in France, but the German law has nothing to do with it. Thanks, but I didn’t say Google cut a deal in Germany — just that it clearly didn’t win. And coming on top of the deals it did cut in Belgium and France, I think that is sending a message about Google’s willingness to fight for this principle.